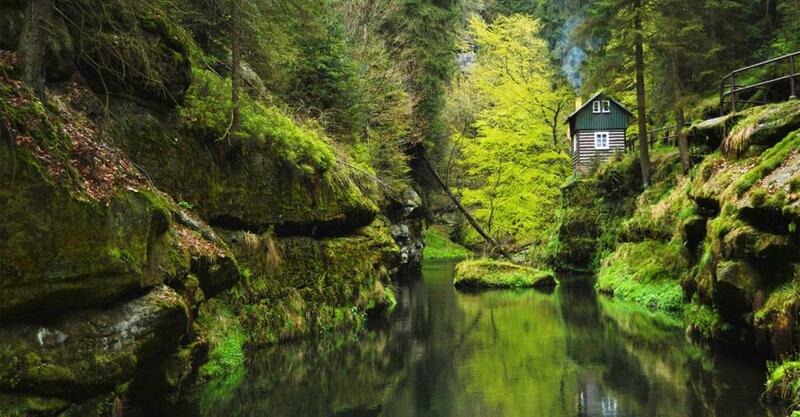 Join us for a great forest adventure in one of the most beautiful European national parks – Bohemian Switzerland. 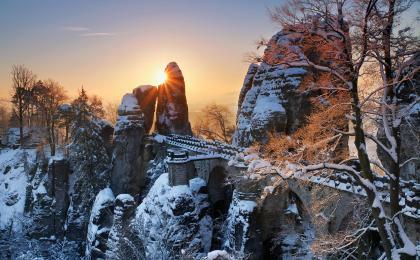 We will explore both the Czech and German part of the national park and see the best of it including the famous mountain Bastei bridge and the ruins of the medieval castle Neurathen. If you are planning a family trip or looking for romantic getaways this is your perfect choice. Take a leisurely hike through the spectacular landscape of the river Elbe Canyon and admire sandstone towers and table mountains around you. 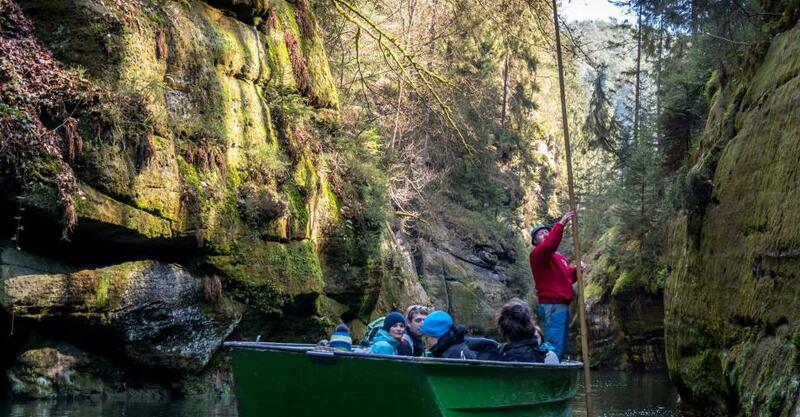 Among the many highlights of the tour is a boat ride that will take you through the gorges of the river Kamenice and you will see the sandstone canyon formed over 100 million years ago from another breathtaking perspective. Relax over delicious lunch in a traditional restaurant on the way and taste great Czech beer in a local microbrewery. Transport from Prague and back as well as a local guide are included. 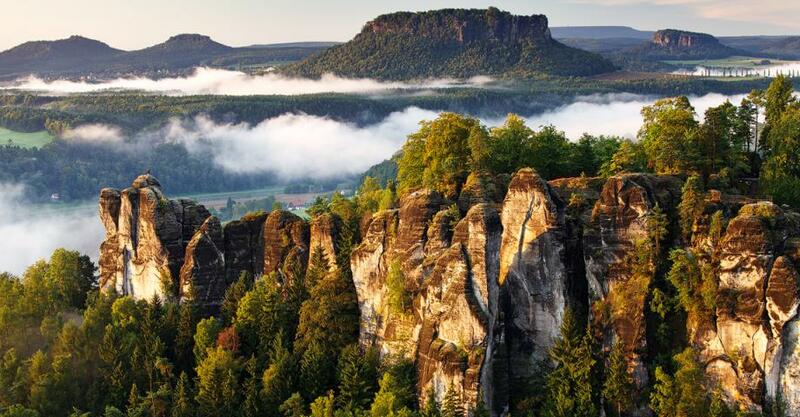 Explore romantic scenery of the Elbe river canyon! 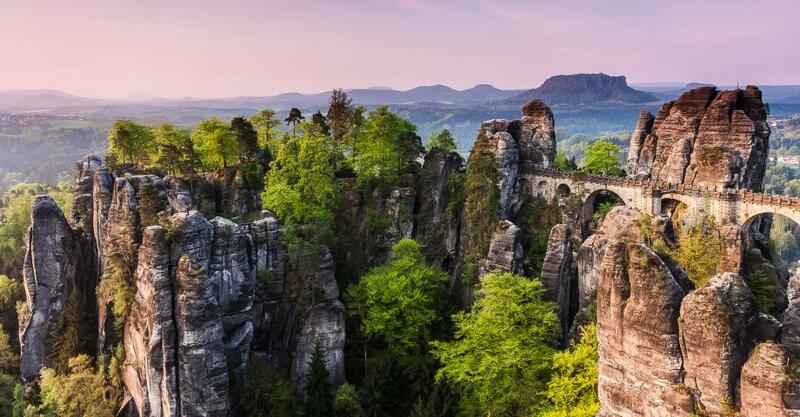 Enjoy an active but easy going day with the most wanted hiking tour through the national park Saxon-Bohemian Switzerland. 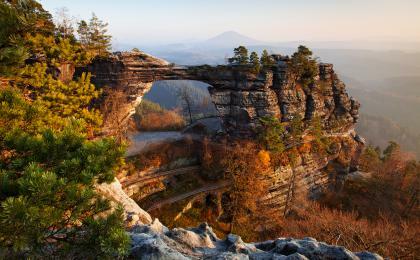 The entire tour provides the best trails of the national park (both Czech and German parts) on well-maintained paths. Contact us for special rates for children. Suitable for men, women, and children. Children must be accompanied by their parents. 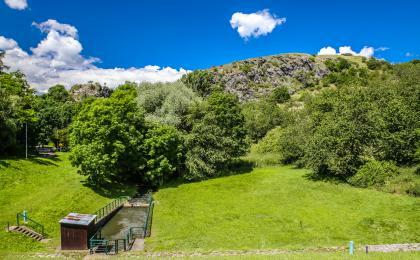 Tours are available daily during the summer season from April to October. This activity is designed for one person. 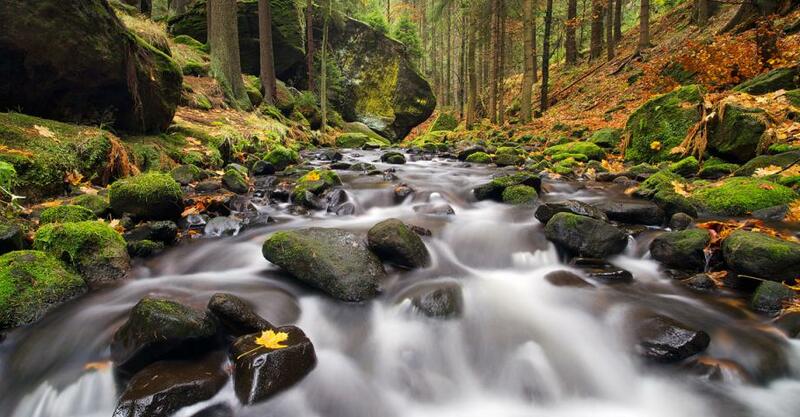 Wear comfortable clothes and hiking boots or sports shoes suitable for forest walk. City sneakers are suitable in summer months, we recommend boots in winter. Glasses recommended on sunny days. This activity includes transport. Your pickup locations: any place or hotel in Prague city center.